Summer is 14 months old. I love this time of year! The temperature is starting to cool down and the leaves are slowly beginning to change colors. In celebration of the new season, we had a Fall themed week. I made two sensory bins, one for each of the girls. 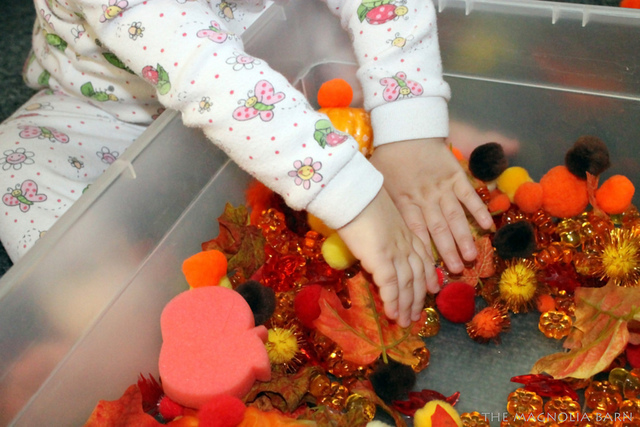 Abby’s had smaller pieces (acrylic pumpkins, acorns and leaves and fall colored pom poms), while Summer’s included some silk leaves from an old wreath and little containers for transferring. She was very interested in Abby’s bin, so I stayed nearby to supervise and that seemed to be her favorite! While Summer doesn’t sit still for very long, she does enjoy being read to. Most times, I’ll read a story to her while she’s roaming around and she will stop now and then to look at the pictures. 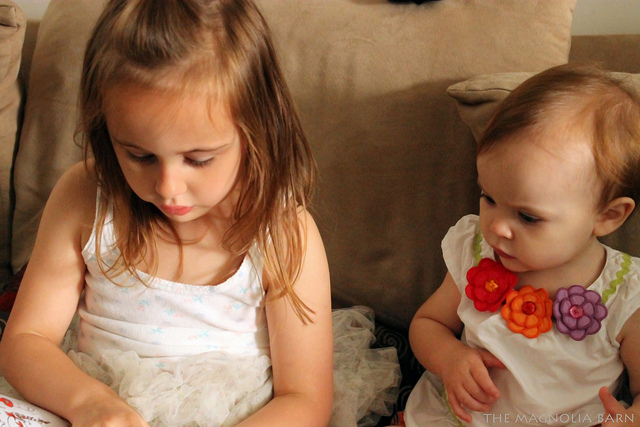 One afternoon, Abby got Summer’s attention while reading her easy reader to me. 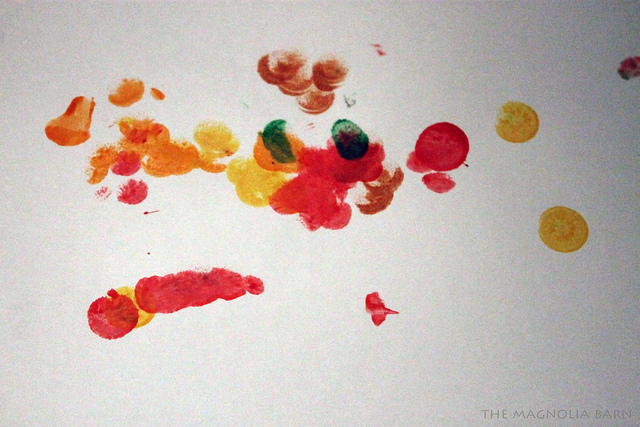 She also tried her hand at dot painting. I love her artwork! 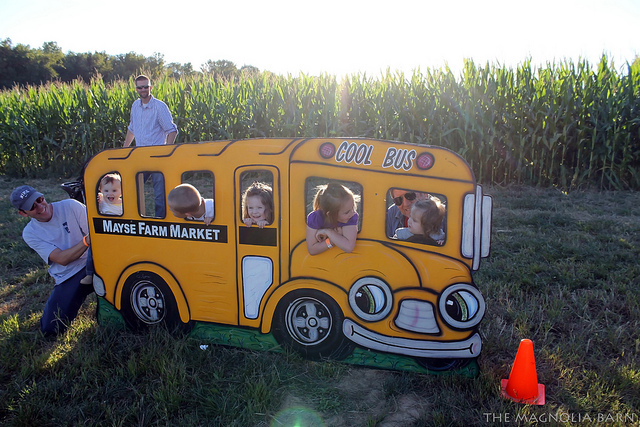 And, we traveled to a local market with my husband’s family for an afternoon of fun for the kids! 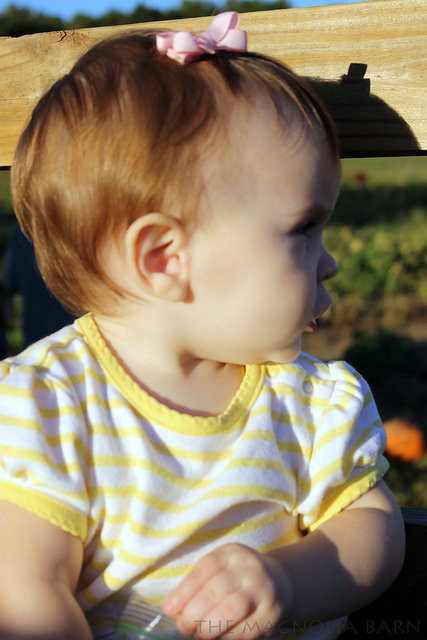 Summer enjoyed her first hayride to the pumpkin patch. 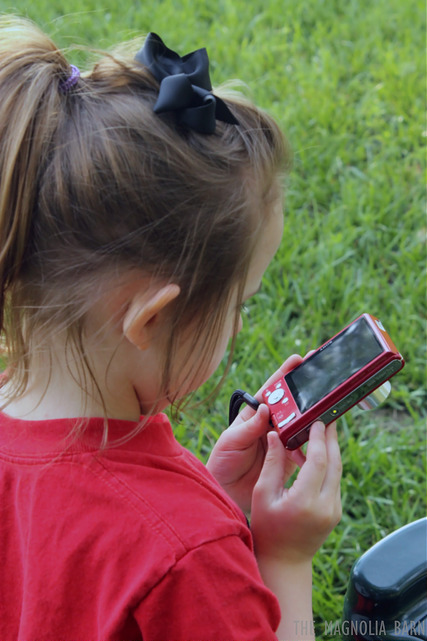 I am so excited to join the 99 other bloggers participating in the 100 Days of Play Challenge hosted by Sun Scholars and Life at the Zoo! 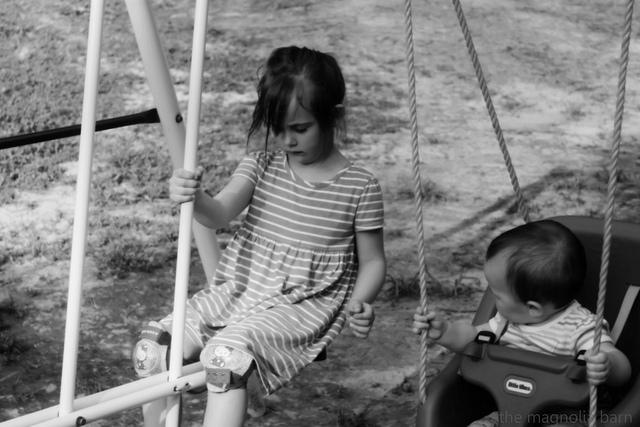 I have been inspired by many of the fun ways other moms have been playing with their children and look forward to seeing the ideas presented in the near future. 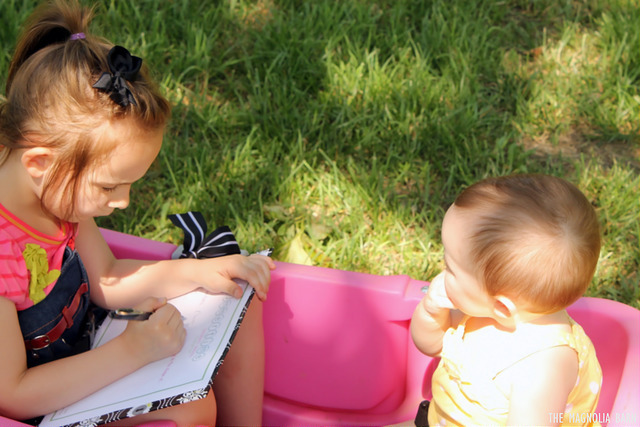 Kids love exploring the outdoors, my girls included, so an Outdoor Scavenger Hunt is always a perfect activity for us! 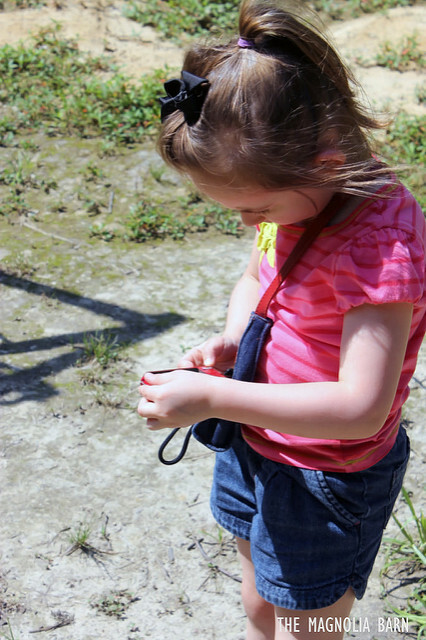 Scavenger hunts can happen any time of the year, indoors/outdoors, with one person or many. The list of items can be customized to fit your individual environment and can be written, printed or in picture format. It’s the ideal game, in my opinion. 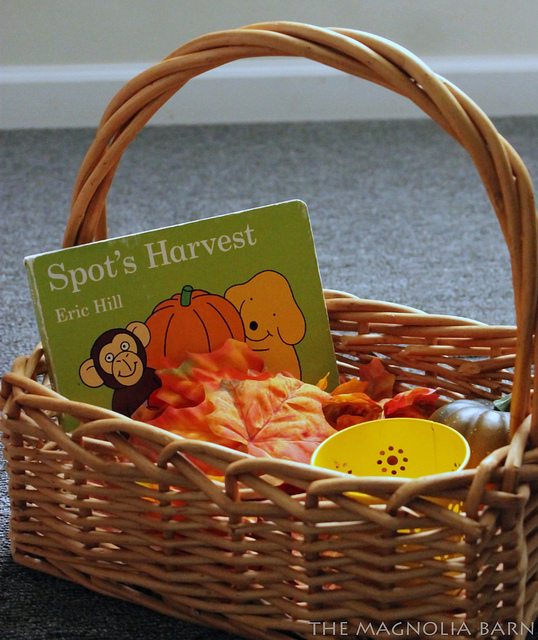 Collecting items allows children to use their five senses to see, feel, smell, hear and possibly taste. Plus, they get a sense of their surroundings and are able to experience the beauty around them. While Abby was able to do just that, I also gave her the opportunity to document her hunt with a camera. 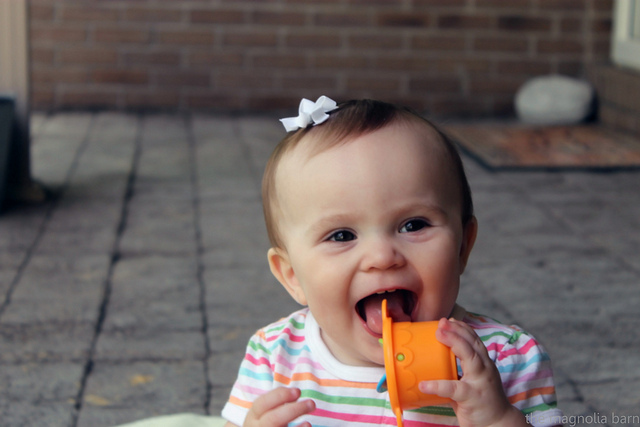 She loves taking pictures and this allowed her to explore and act like a big girl at the same time. 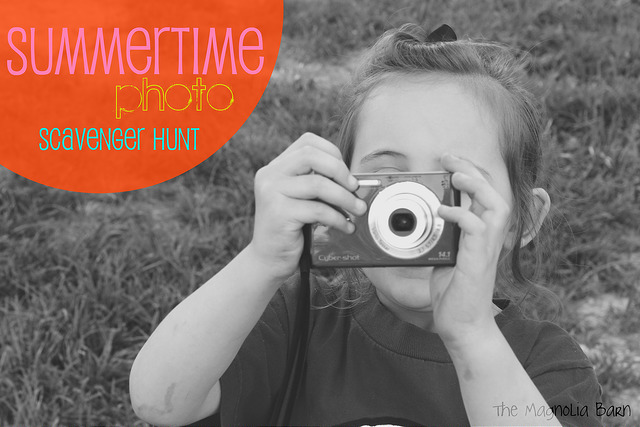 I made a special Summertime Outdoor Scavenger Hunt sheet. It’s all about using your creativity to see what you can spot in nature. 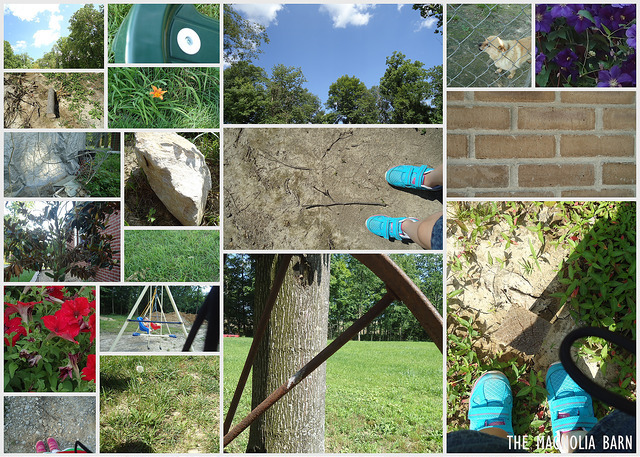 On our scavenger hunt, we searched for different textures (soft, hard, smooth), shapes (triangles, circles, squares), colors of the rainbow, animals, nature (trees, grass, clouds) and alphabet letters (T, X, Z) to name a few. You can download our exact checklist here to use as inspiration or to use in your hunt. 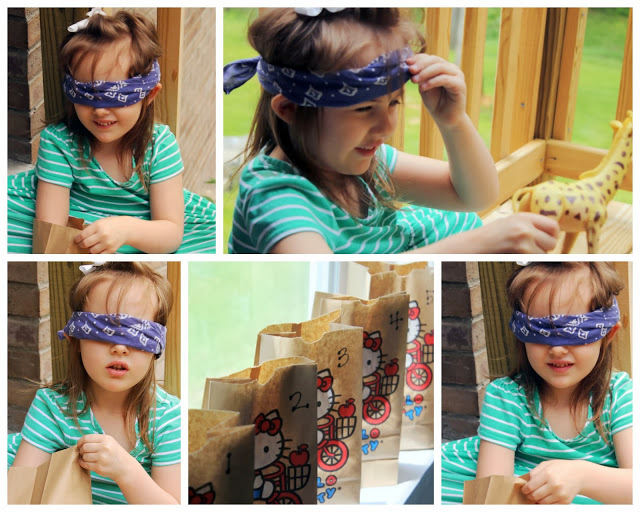 Even little Summer got to help…. Here’s a collection of some of her photos. 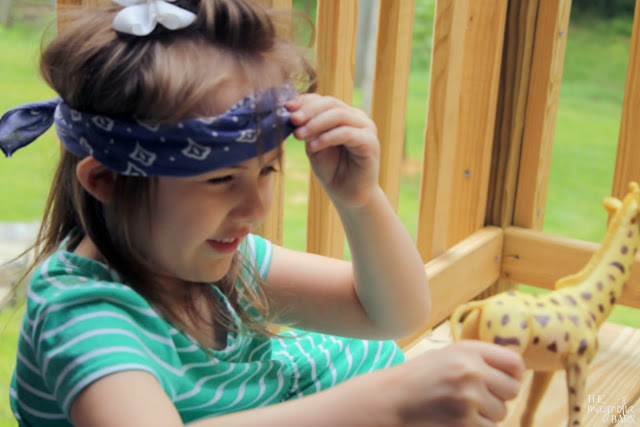 This past week, Summer went from taking several steps here and there to walking back and forth short distances. With her new found freedom, it has been a bit challenging to keep her in one spot for very long. 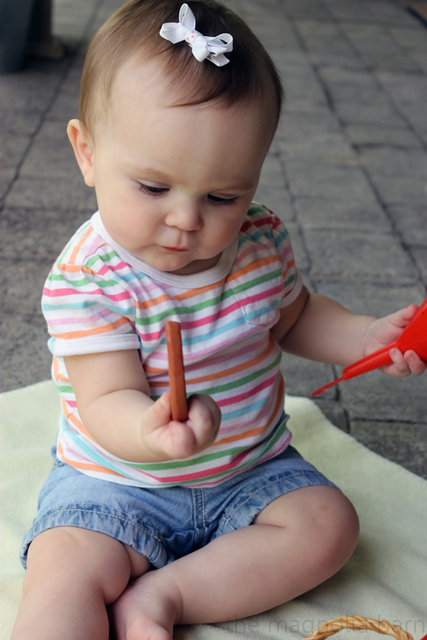 Our “Tot School” time together usually lasts about 30 minutes. 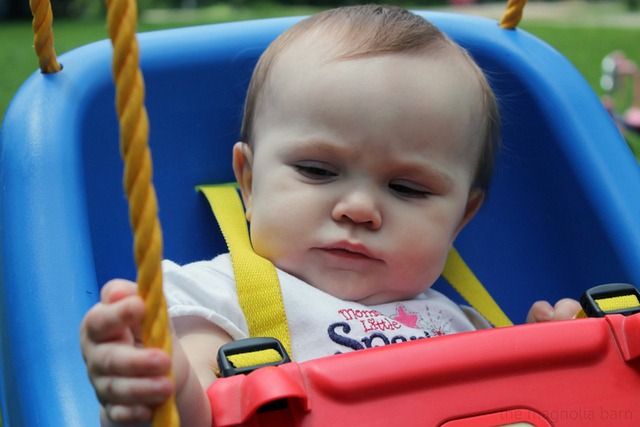 Depending on her mood, it can be shorter or longer if she is content and having fun. I try to have our 1:1 time when Abby is watching Speekee or working on independent work. 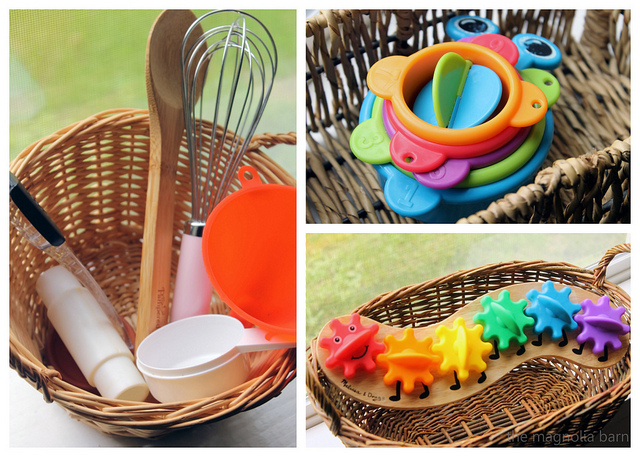 Here’s a look at her Discovery Baskets this week. 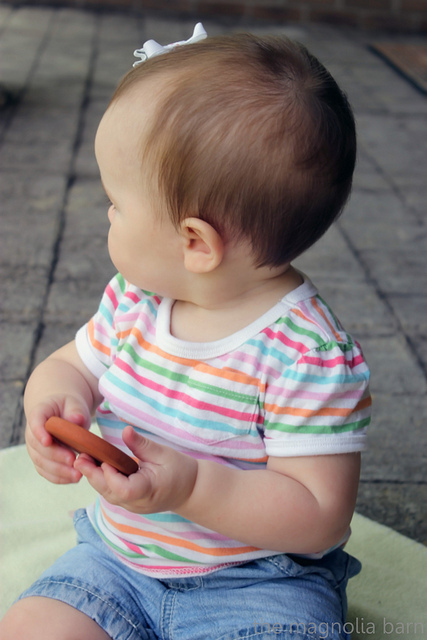 Summer did not seem too interested in her stacking blocks. 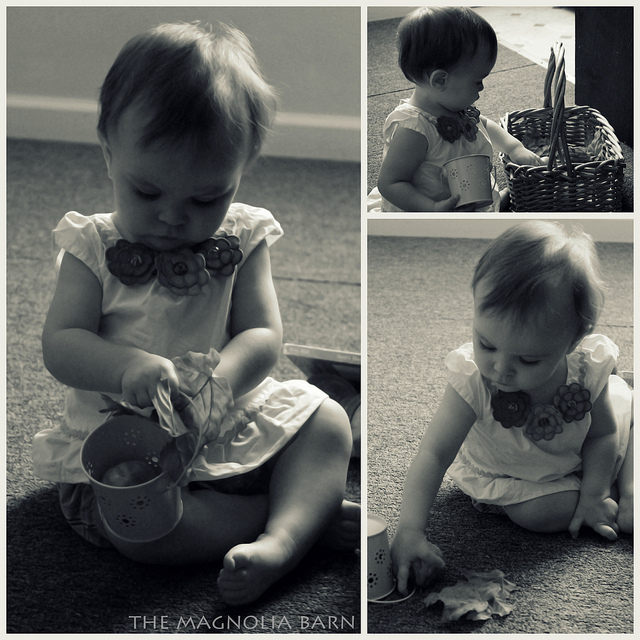 She mainly liked tossing them around or chewing on them. 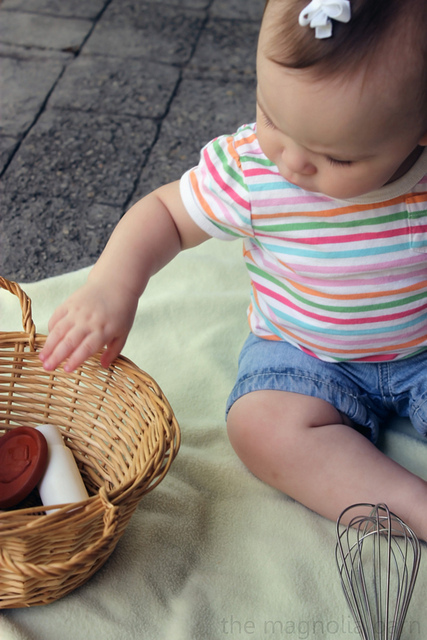 Lately, she will hand items to you when asked and continues to enjoy placing items into various containers. 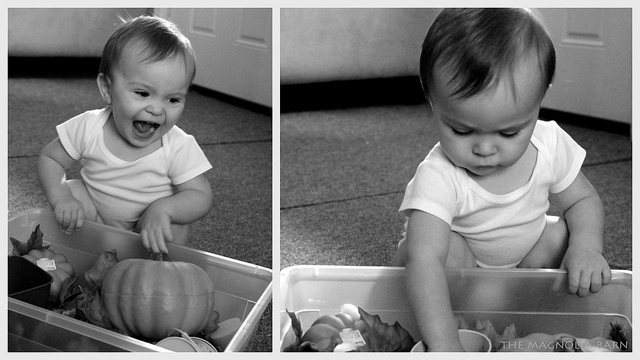 She loved the caterpillar gear toy! Each time I would turn the gears, she would giggle. 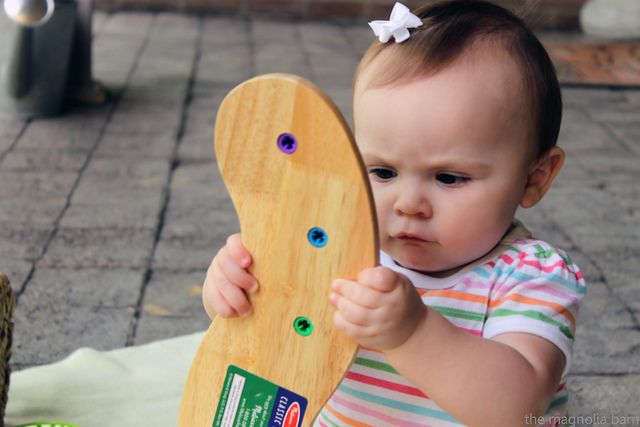 Then, she would take each gear off, play with the wood board and hand me the pieces to put back on. I’m not sure who enjoyed the basket of random kitchen items more, Abby or Summer. This was the favorite by far and so simple to put together. She also enjoys watching Abby, trying to be just as big. We are fortunate to have such a sweet, caring role model for her to look up to. There are many ways to help kids explore the five senses. 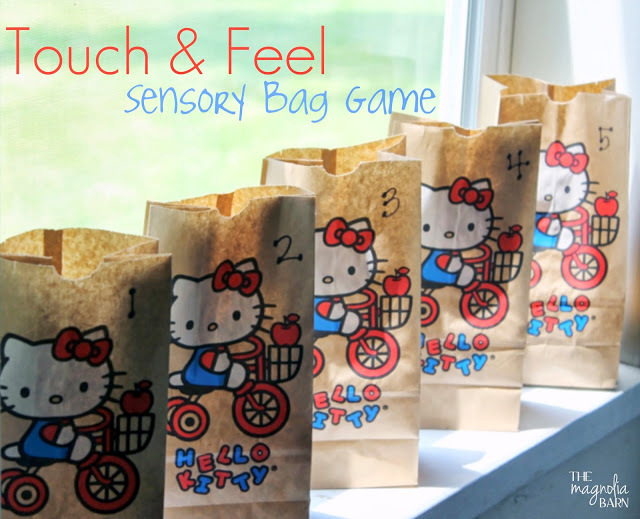 This fun sensory bag game will help children use their sense of touch along with helping to provoke their thought process. Number each bag (I did this mainly for myself to keep track of the items) and fill with various items. 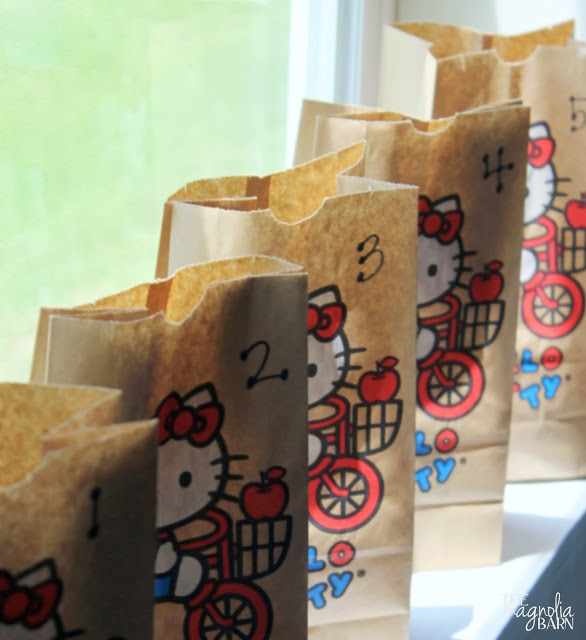 Let your child explore each bag and guess what’s inside. 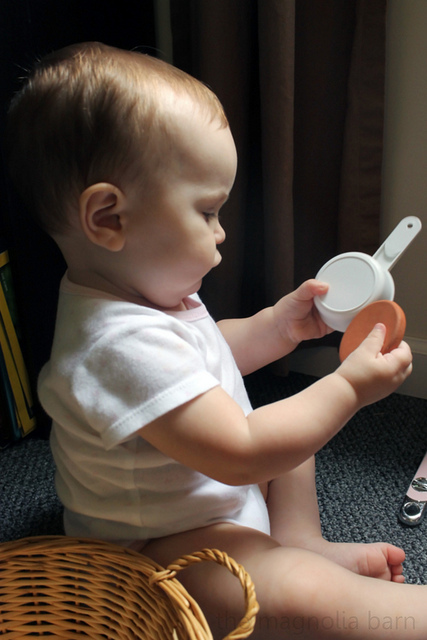 You can help little ones by asking descriptive questions about the item (hard, soft, rough, cold, long, short) to provoke their thought process. When they are done, check their guesses to the actual item to see if they were correct. 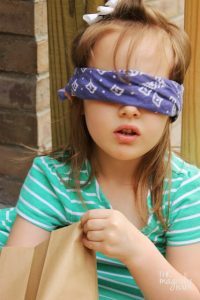 On the other hand, your child (like mine) could just rip off their blindfold suddenly EACH TIME to see if they were right. 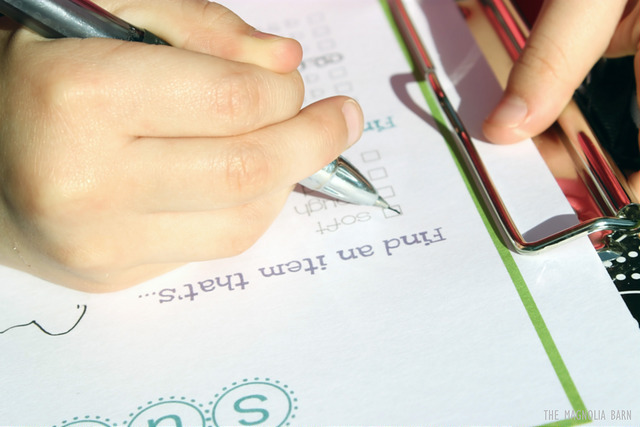 😉 For older kids, they could pencil in their guesses next to each number on a sheet of paper to compare when finished. 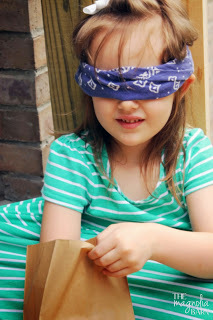 Trying to figure out what to use inside your sensory bags? We used cotton balls, Q-tips, a banana, toy giraffe, frozen ice pack, toy keys, a brush, a cup, ponytail holder, and a stuffed animal. 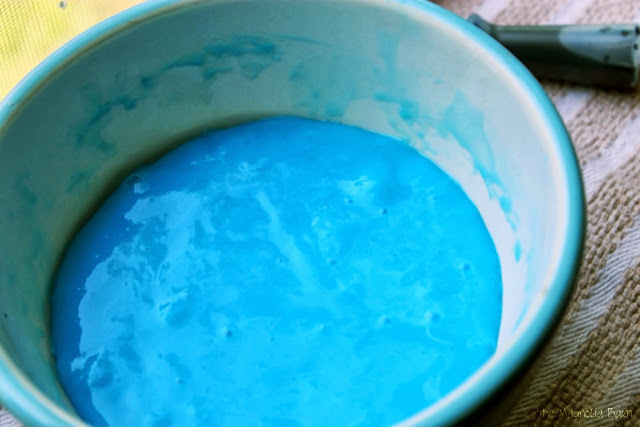 Anyone remember Gak! growing up? 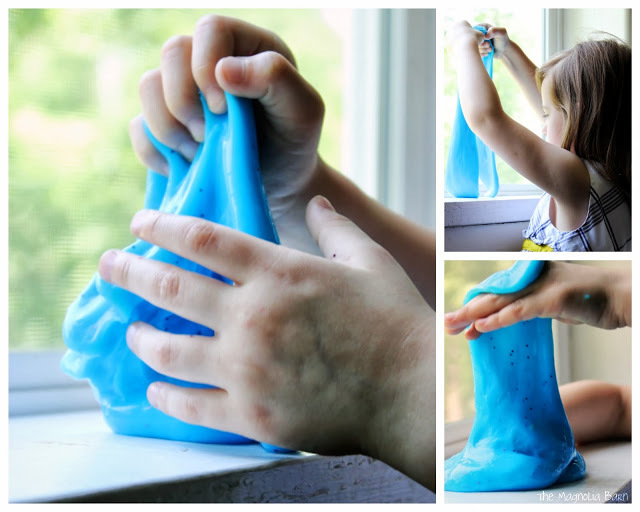 It was gooey, squishy, slimy and a blast to play with! 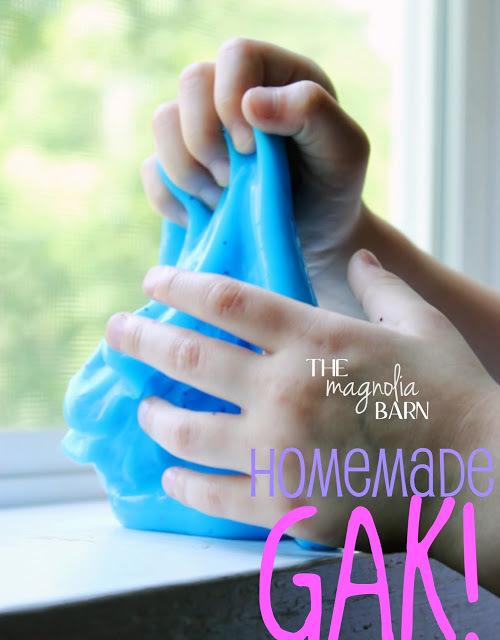 This super easy recipe will have your kids and you playing in no time. Ready, here goes! 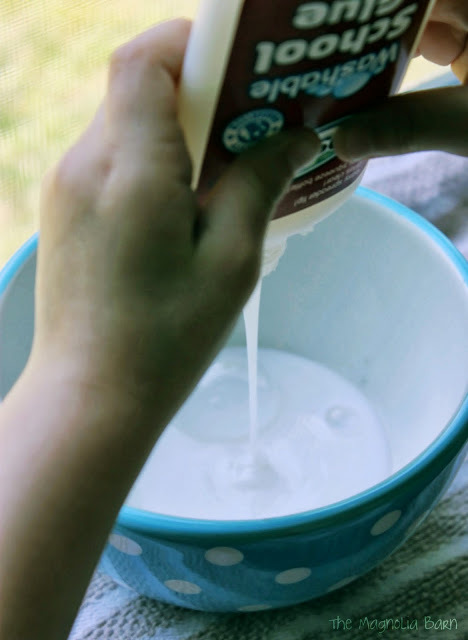 Empty entire bottle of glue into a bowl. 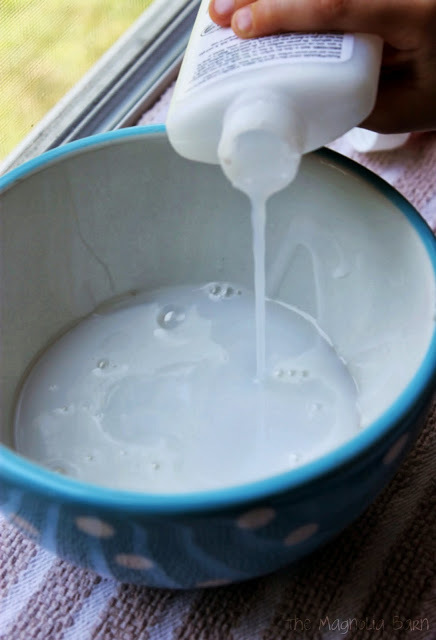 Fill the empty glue bottle with warm water and add to the bowl of glue. 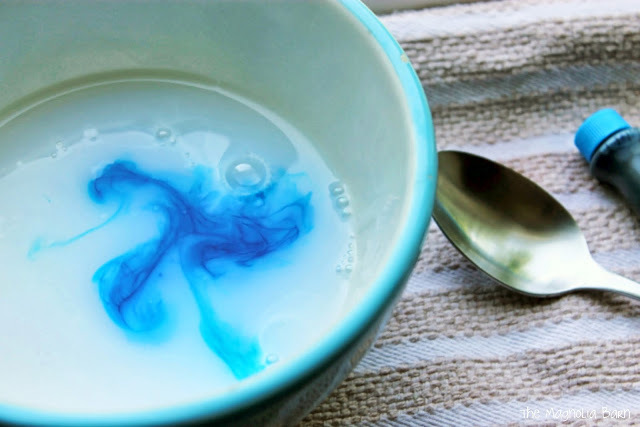 Next, add the desired amount of food coloring and stir mixture. 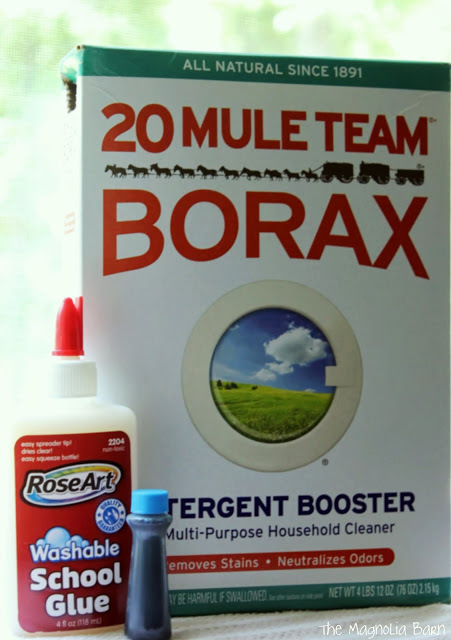 Slowly, add the Borax mixture to the glue mixture and stir. 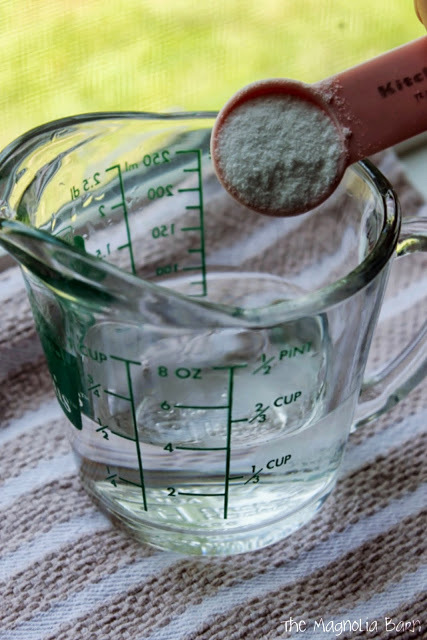 You will notice the texture begins to become stringy and thick, eventually resembling gelatin. 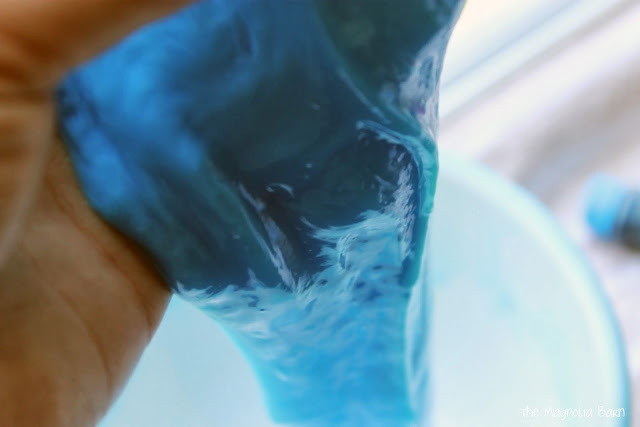 At this point, you will want to knead the Gak with your hands. We added a dusting of pink glitter and it was ready for play! 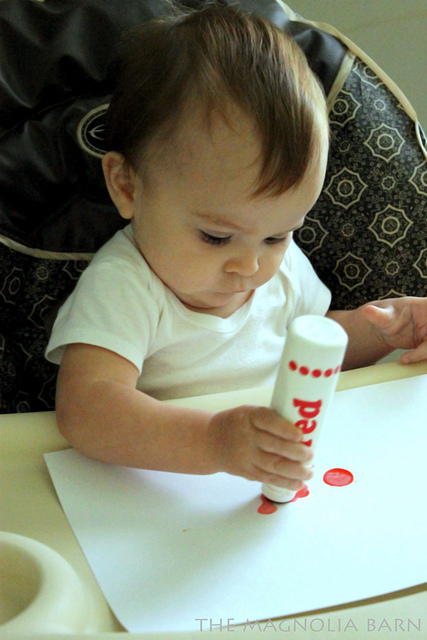 For more creative play, add alphabet and shape cutters and watch your kids enjoy HOURS of FUN!